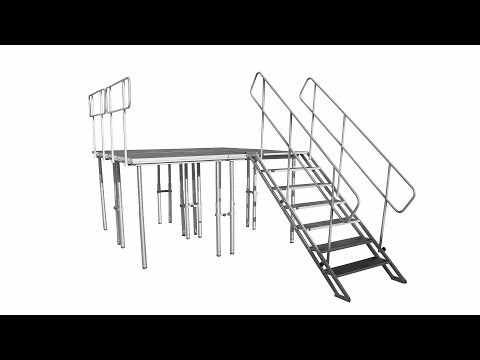 The ProX XSQ-4X8 Heavy Duty Platform Series is a convenient transportable staging solution that built tough and designed for maximum durability and safety. Engineered to minimize your set up time and effort with industry leading design, materials and precision production process. The XSQ-4X8 Platform is a single side, indoor and outdoor, weather-resistant, portable staging platform. The ProX XSQ-4X8 is designed to be fully field repairable, and works with all StageQ supports from ProX.